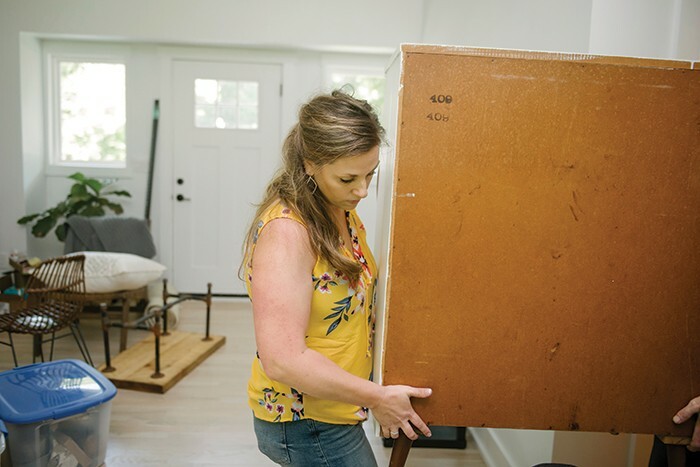 Renovations are nearly finished on a Raleigh flip house, so Katelynn Dortch from The Inspiring Investment is busy cleaning and staging the home. 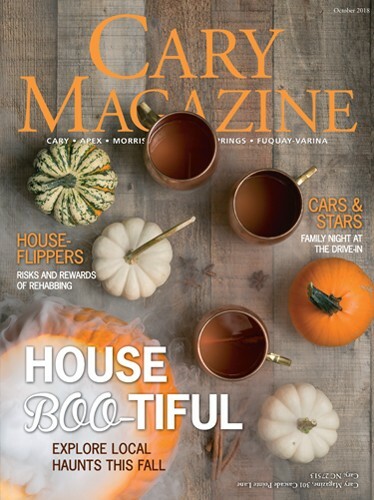 “Professional pictures and staging help a house sell at top dollar for a renovated space,” says Dortch, who lives in Cary. It’s happening all over: A home that needs work hits the market and sells. Renovations commence, and soon it’s back on the market at a higher asking price. It’s the process of “flipping” a house, and data published this year shows Western Wake County is no exception to the trend. Four Western Wake ZIP codes – two in Cary, one in Apex and one in Fuquay-Varina are among the most active, according to ATTOM Data Solutions, a California-based real estate data company. Those who have seen this happen in their neighborhood may be wondering what goes into flipping a house, and how it’s possible to make a profit in the current housing market — where homes are selling in days. The current real estate market is not ideal for home-flippers, says Laura Moody, broker and owner with Front Porch Realty in Fuquay-Varina. Inventory is low, which means buyers are settling for less, and bidding wars are driving home prices up. “Buyers are settling for a home that needs work, and then doing the work after they move in because they can’t find anything better,” Moody said. The father-son team of J.T. and Scott Riley are behind Scott Riley Home Builders and flip homes mainly in Durham. Both were home inspectors by trade in their prior professions. J.T. Riley agreed with Moody. “We’ve looked at a fair amount this year, but everything we’ve run into has been a whole lot of work and too much money,” he said. Katelynn and Uriah Dortch, from Cary, own The Inspiring Investment and flip homes for a living. He has a degree in industrial design and a background in project management and real estate. She manages the business side of things and the interior design for their flips. 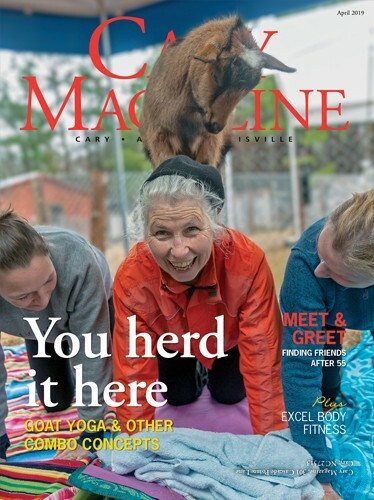 The couple typically looks at 20 to 30 houses per week to find one to three that they might want to flip, Katelynn Dortch says. This means finding a home that’s going to be profitable when they consider the purchase price, the renovations needed to bring it up to current market standards, contingency costs and the costs associated with selling the home again. The number of house-flipping shows on television lead to a lot of myths about the business, said J.T. Riley. Television often makes it appear homes can be flipped in a couple of weeks, but in reality it can take four to six months, he said. Images of demolition day, where renovators take sledgehammers to everything from the walls to the cabinets are also misleading. If J.T. Riley and his son can donate old cabinets and fixtures to a local charity, that’s a tax credit for them which can work against the cost of the house flip. 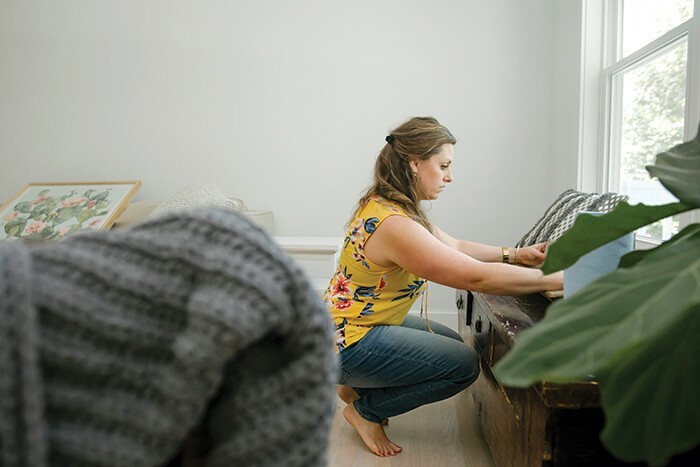 When The Inspiring Investment begins a flip, steps include establishing a scope of work, pulling permits as required, hiring the right subcontractors, completing any demolition, and ordering materials and installing them, Katelynn Dortch says. Successful flips always address the “big ticket items,” she said. These include the kitchen, bathrooms, the roof and the HVAC system. They also try to address the functionality of the home if the budget allows. Even with the best planning, the unexpected can still happen. Being successful is as much about the flipper’s mindset as it is their skill set, Katelynn Dortch says. In one of their first flips, the Dortches had to replace the foundation wall on a house with a full basement. It was not something they’d included in their initial budget. Another time, they bought a house sight-unseen and found dead animals and trash everywhere when they walked inside. The bright spot was an unfinished walk-up attic that they finished to add square footage and value to the home, Katelynn Dortch says, but they still lost money. The return on investment for those flipping a home ranges from roughly 16 percent to 66 percent in Western Wake. The average flip takes between 158 and 220 days. In Western Wake, flip homes are usually purchased in the $200,000 range. In parts of Raleigh, $400,000 homes can be purchased and flipped for a higher asking price. Durham is the most popular and profitable local area for flipping houses. Sometimes things work in the flipper’s favor as well. The Rileys once purchased a house for $163,000 that needed a lot of work. When they completed the renovation and put the house back on the market, J.T. Riley says, they received an out-of-state, all-cash offer for $10,000 higher than the asking price. 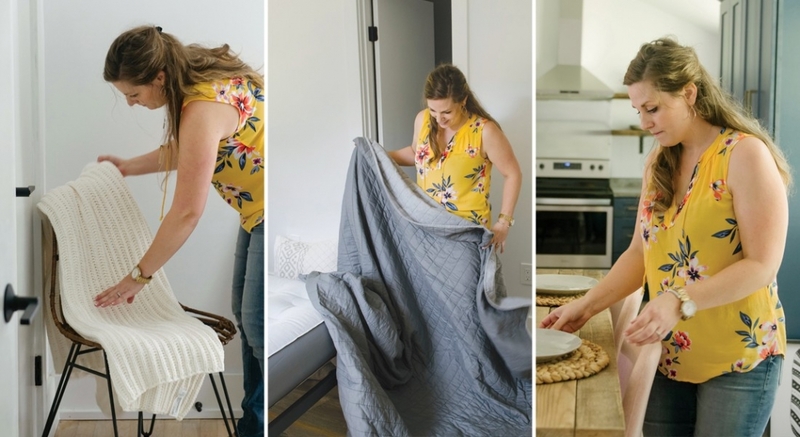 Katelynn Dortch and her husband have built their business on the belief that flipping is more than a way to make money, but also a way to help people who may have gotten in over their heads with home ownership. “The service that we provide is buying houses that need work from people who are going through a difficult time,” she said. Equally important is providing quality workmanship for the future owners of each house. Moody says when she speaks with clients about flipping houses, she emphasizes the importance of doing it right. Lauren and Judson Smith, co-owners of PLJS Properties, are renovating a 1920s farmhouse located in Willow Spring. The couple focuses on homes in outlying areas, where houses can be bought for less than $75,000. After renovations, these starter homes can be sold for $150,000-$160,000. In 2010, Judson Smith was running a small pest control business, and found himself doing termite inspections for a number of empty houses in perfect condition. He started asking questions, and it turned out those houses had been flipped. At the time he and his wife Lauren, who worked in banking, were already buying homes and renting them out for profit. 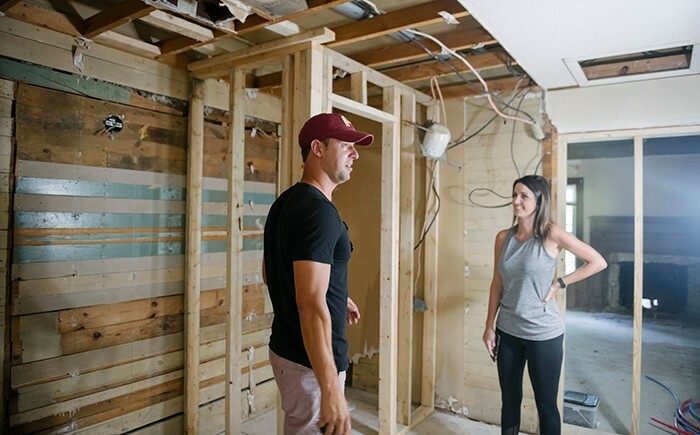 As the couple learned more about the business of flipping homes, they decided to give it a try. The Smiths, who operate as PLJS Properties LLC, do it all without bank loans — using a combination of their profits and money from private investors. In 2010 the housing market wasn’t booming like it is today, and that caused the couple to change approaches. Instead of competing for homes in urban centers, they’ve invested in outlying areas that have a main vein into the cities. These areas are popular with buyers shopping at a lower price point who are willing to commute. Project manager Dustin Sill, left, discusses replacement windows with Judson Smith. Their “bread and butter,” as Judson Smith calls it, are homes they can purchase in the $40,000-$50,000 range and re-sell for $150,000-$160,000. These homes appeal to an underserved market — new couples just starting out who don’t have a lot to put into their first home, he says. At the same time, because they have experience working with high-end products, if the budget allows, the pair will put an expensive touch on those starter homes, such as quartz countertops, Judson Smith says. 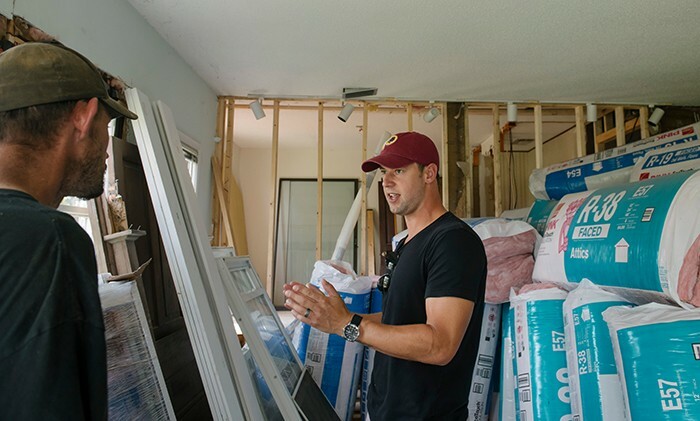 “If you have the skill set to bring a house back up in a neighborhood, you’re actually serving the neighborhood by increasing its value and helping everyone around it,” he said.